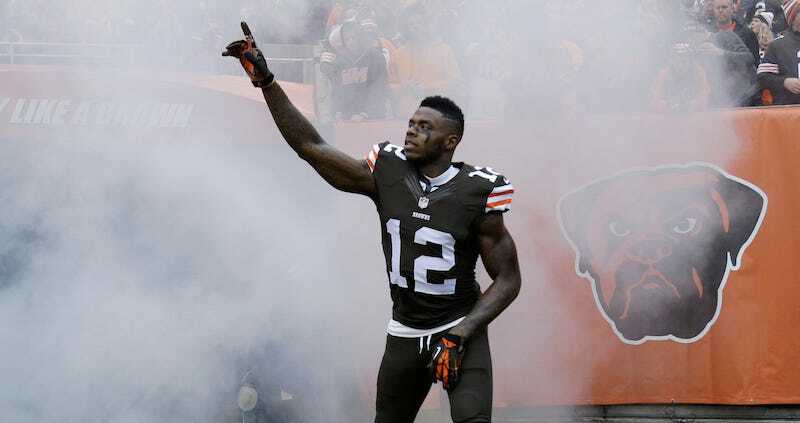 The NFL announced today that it will reinstate Cleveland Browns receiver Josh Gordon. The league also said that Gordon will be suspended for the first four games of this season. Gordon was suspended in 2014 when his B sample tested positive for weed (his A sample was below the threshold). He was suspended again in February 2015 for testing positive for alcohol. Gordon will be able to take part in training camp and preseason activities. Once the season starts, however, he can’t practice or play in a game for four weeks. Back in April, the NFL reportedly refused to consider reinstatement for Gordon until Aug. 1, but it appears that date wasn’t set in stone. Really, what is in the NFL’s punitive process? The Browns play the New England Patriots in Week 5. I think there’s some other guy also coming back from a four-game suspension for that game.